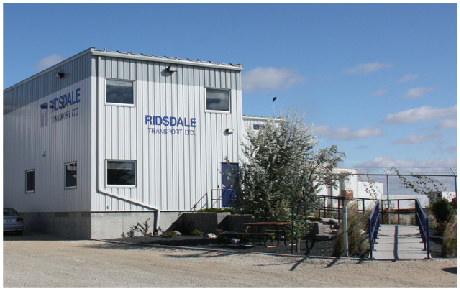 Ridsdale Transport is a transportation company that is developing a terminal network across the Prairie Provinces with a new central facility in Winnipeg. Warehouse storage, container service and contracted transportation are among some of their specialized services. The new 16,094 sq.ft. building includes a 23 door cross-dock facility supplied as a Behlen pre-engineered steel building, while the adjacent office space was designed as a standard wood frame construction. The office includes a central dispatch area overlooking the dock, along with private offices, drivers locker room and staff lunch room. In order to accommodate the trailer height, the main floor was set at 52” above grade with a 12” curb around the perimeter of the warehouse. 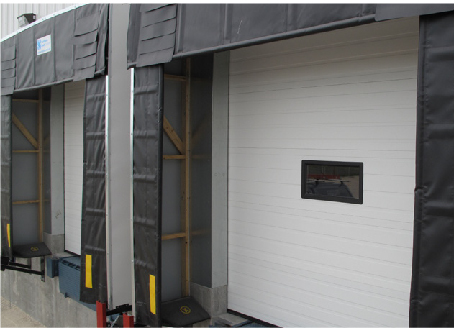 As per the client’s request we also installed Nordock dock levelers and Rigid Frame truck shelters for all of the dock doors. 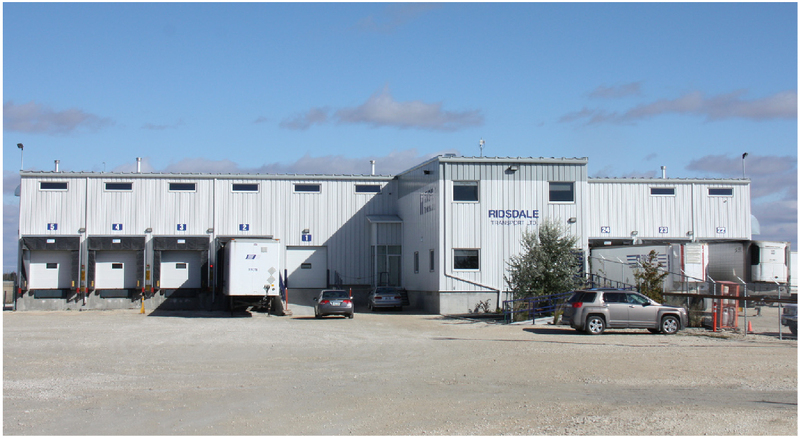 The neutral color palette for the building exterior is complimented with small accents of Ridsdale’s corporate blue. 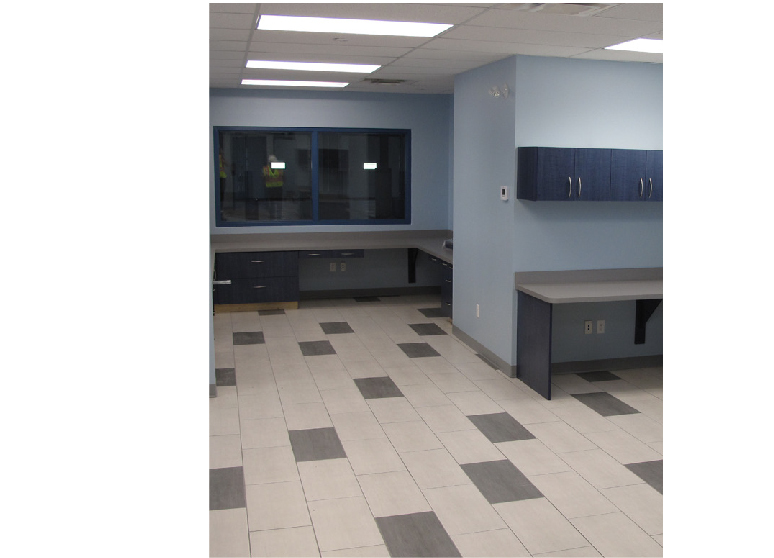 In addition to designing and erecting the building, our in house design team worked directly with the client to establish the interior color scheme, choosing all finishes from paint, to flooring, millwork and hardware.